Large gold hurricane vase or candle holder. 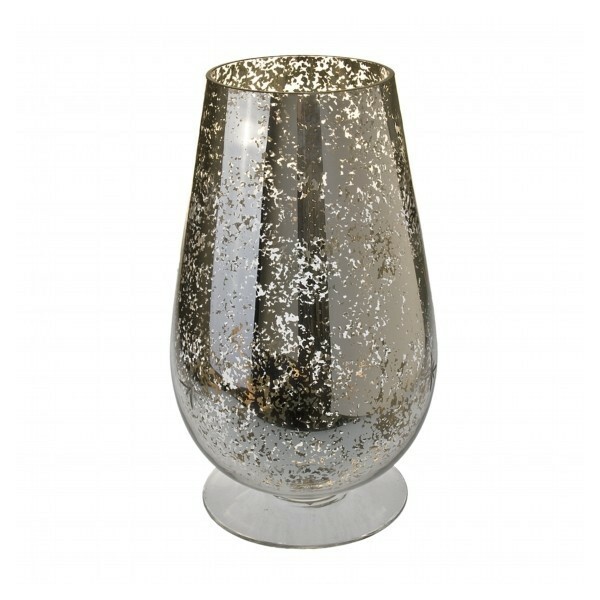 Large sized gold speckled glass hurricane vase for use with candles or fairy lights. (not provided) W 20cm (widest part) H 37cm, Diameter 15cm. 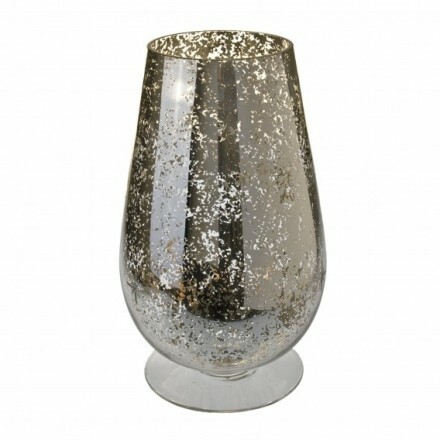 Large mouth blown glass hurricane lamp with gold speckled effect. Stunning with a candle or a set of fairy lights for a portable lamp effect. Has a number of engraved stars dotted around to enhance the overall effect. A stunniing addition to any room or dining table. Clear glass base. Approx measurements: W20cm, H37cm, D15cm. (Inches: W8, H14.5, D6).